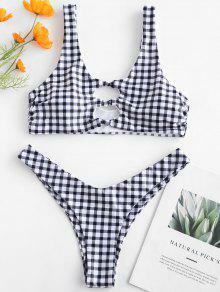 Retro gingham checks lend charm to a double scoop collar bikini top designed with cute knots and hollow outs on the front. 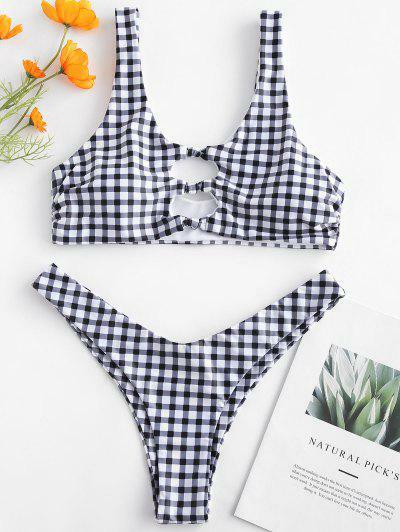 Matching with a pair of high cut briefs that go well with the top and flatter everyone on the beach sands. 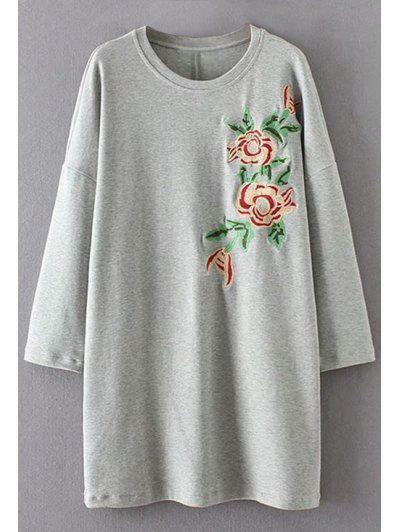 #zafulsnap Super cute Fits well Looks exaclty like the pictures True to size Comfortable and of fantastic material !